The Dobson liner suspension piece by Tech Lighting features an angular, metal shade that houses a powerful LED lamping source. 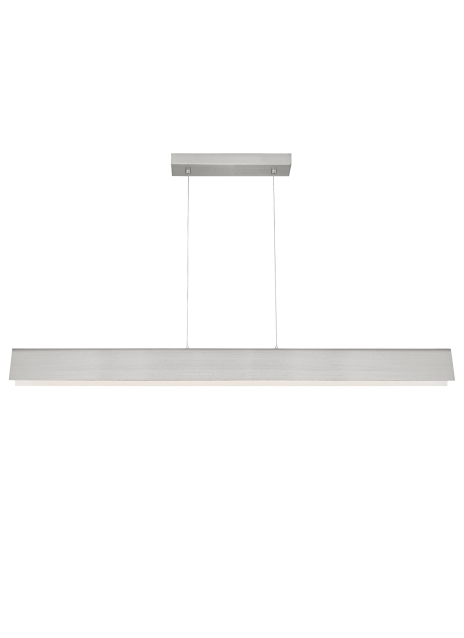 This simple and sleek suspension piece is available in Brown Chestnut, Satin Nickel, Weather Gray Oak, White and White Ash, each finish will add style and sophistication to your special space. Due to its wide scale and modest height the Dobson is ideal for dining room lighting, foyer lighting and home office lighting. Your choice of LED lamping ships with the Dobson saving you both time and money, both options are fully dimmable to create the desired ambiance in any space.